En plein air is a French expression which means "in the open air" and it´s used to describe the act of painting outdoors. Now, painting en plain air in Sweden in July does not mean the same thing as painting en plein air on Capri, Italy. Please note the vast difference in weather conditions when you see the pictures above and beneath. 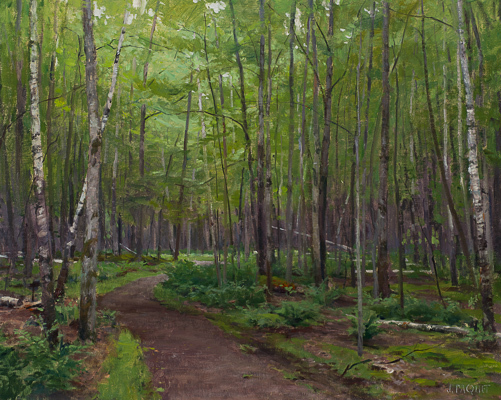 In July I attended a 5-day plain air workshop with the American artist Joe Paquet. He´s an excellent painter and teacher. This is Joe´s own words about his workshop: This workshop will introduce you to the power and subtlety of the Prismatic Palette. 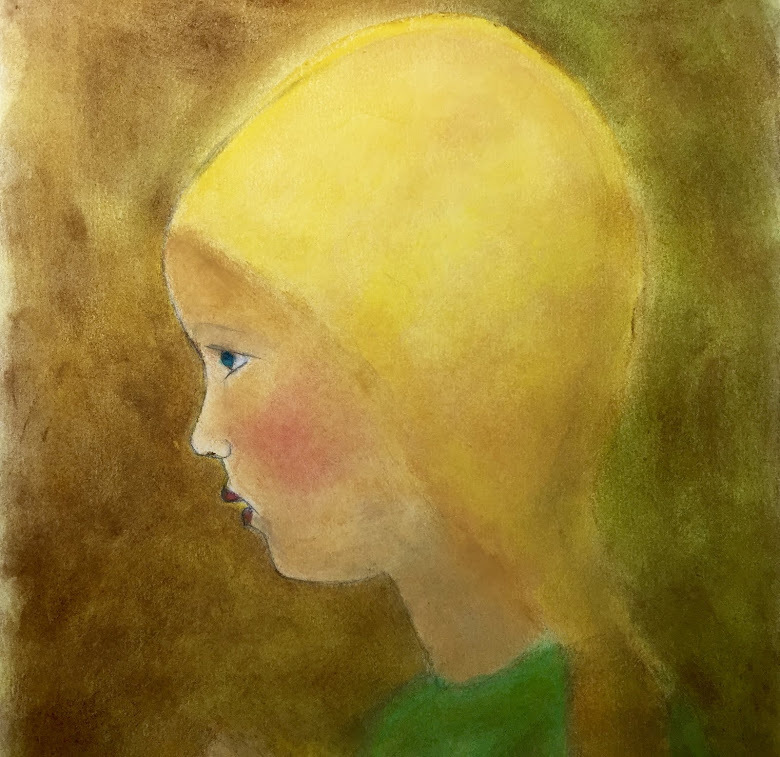 You will learn to capture what makes each day unique through the use of an elegant underpainting, rhythmically connected drawing, structured value scale and solid understanding of color as value. Further we will delve into how color is affected by atmosphere and the Prismatic Effect. You will never look at nature the same way. Humility and a healthy respect for nature required. The underpainting is done with a mixture of cobalt blue, black and white. You use more grey in the front, adding more blue to the back as seen in the examples above. At this stage you´re "organizing and clarifying what you see in nature." The object of the underpainting is "to form descriptive darks that tell the tale of form, character, atmosphere and connectivity." When you have the "skeleton" of the painting you start adding color in the same value as your greys. in the back are more blue. brush marks and with variety in the edges. These greens will get the vegetation right; highlights, shadows, cast shadows and everything in between! Can you figure out when to use the light "parent green" or the dark "blue violet"? I have 19 pages of notes, I wrote down every word that came out of the mouth of mr Paquet. With tongue in cheek, I call this blog "a complete guide to becoming an artist". I must say I feel more complete as a human being and as an artist in the making after having stood by my wobbly easle in the rain, trying to mix the right color value and trying to make sense of all the information in front of me so I could get it down on the canvas. Here are some quotes from Joe that were part of the introductory lecture. Embrace the failure (but don´t make the same mistake twice). You will confront everything you don´t know. Why?? Why are you doing it? The world needs authentic pictures. Tell the world world what you love. In place of sensitivity we exaggerate. Never regret that you didn´t start earlier. Bless that you are here now. You´ll improve from now on. To see more of Joe Paquet´s paintings click here. Spännande att ta del av både detaljer och tankesvep. Även regniga dagar går det att göra något vettigt av.